If you’ve never enjoyed chauffeured limo service, you’re missing out. In your normal course of driving, there’s a lot you have to think about. You have to worry about directions, navigating traffic and careless drivers. Then there’s stopping for gas, paying tolls and parking. When you take advantage of a chauffeured limo service, you don’t have to worry about any of those things. You can just sit back, relax and enjoy the trip. If you’re heading somewhere that pays to walk in at a low-stress level, a car chauffeur service could be just what the doctor ordered. How often have you actually seen the world around you while driving? When you’re driving, you’re focused. You’re looking at the road ahead of you and the drivers around you. However, there’s a whole beautiful world out there to see. When you have limousine chauffeurs behind the wheel, you’re free to look out at the city and enjoy all its wonders. There’s not much you can do while driving. Sure, if you’ve got a hands-free phone you can make some calls, but it can be tough to concentrate, and you can’t do much else. 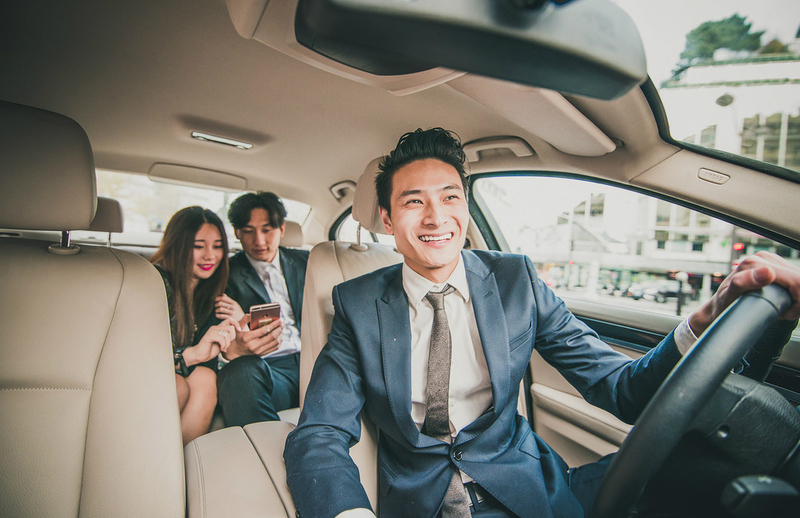 When you’re being driven to your location in a luxury vehicle, you can make calls, catch up on work, play games or just relax and take a little nap in luxury. There are some occasions where you just want to make sure you impress the moment you step out of the car. For a lot of us, our old reliable family sedan just isn’t going to do it. When you show up in a chauffeured limousine, however, you’re making an entrance just about anybody is bound to be impressed with. There’s a good chance you spend a lot of time driving others around. Isn’t it about time you have a turn? Limousine chauffeurs trained in personal service can show you what it’s like to be pampered and waited on. You will have someone who provides a friendly greeting, open and closes the door, and assists with loading and unloading any belongings. If you haven’t ever taken advantage of chauffeured limo service, the time to do it is now. If you’re traveling in Harrisburg, Pennsylvania, or around the Central Pa. area, the service to call is Premiere #1 Limousine Service. We offer quality transportation with an easy online reservation process and virtually instant reservation confirmation. Just tell us when to show up and where to go and you’re covered. You can sit back, relax and enjoy the ride. To learn more or set up a reservation, contact Premiere #1 Limo today.